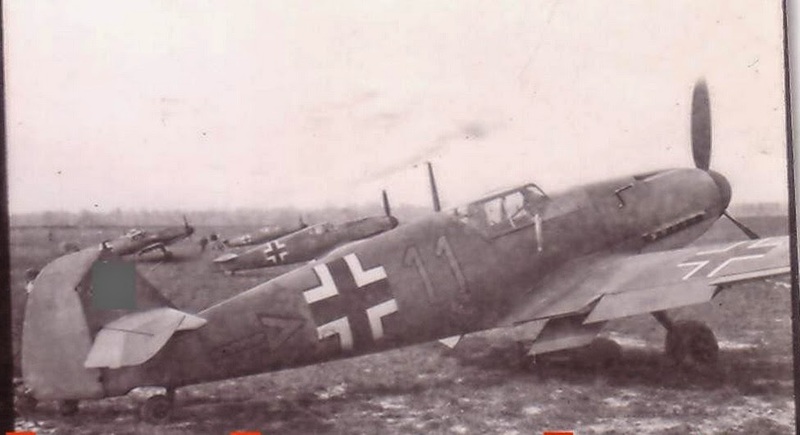 A selection of early JG 2 Fw 190s. For the text that follows I've relied heavily on Erik Mombeek's superlative " In the skies of France " Vol 3. (French text only). 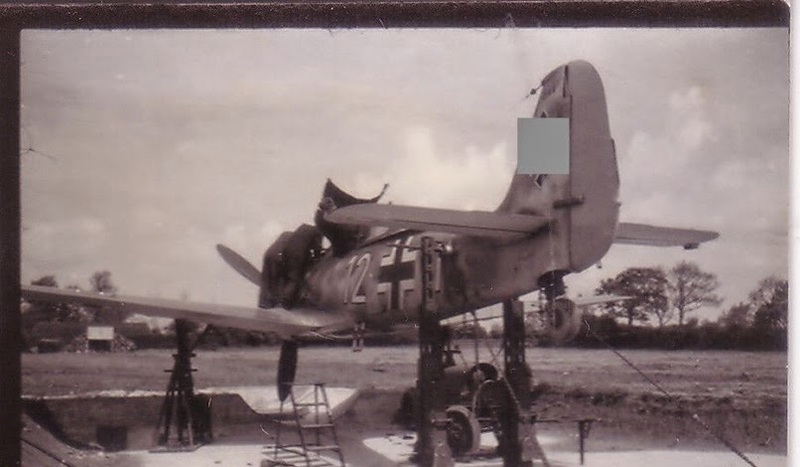 A-2/3 "Yellow 4" of III./JG 2 machine at readiness. 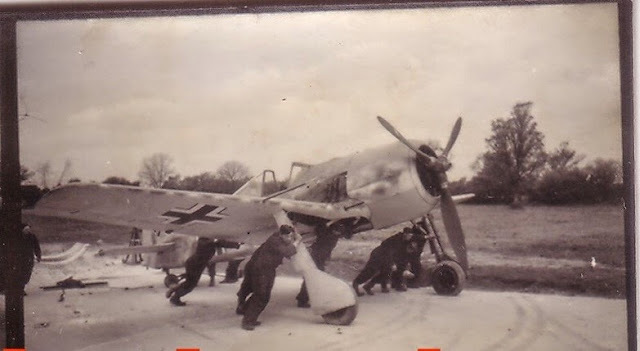 Ground crews taking a break. III./ JG 2 took delivery of its first Fw 190s during May 1942, a month later than Greisert's II./ JG 2 and following a visit to Beaumont by the C-in-C of Luftflotte 3 GFM Hugo Sperrle. 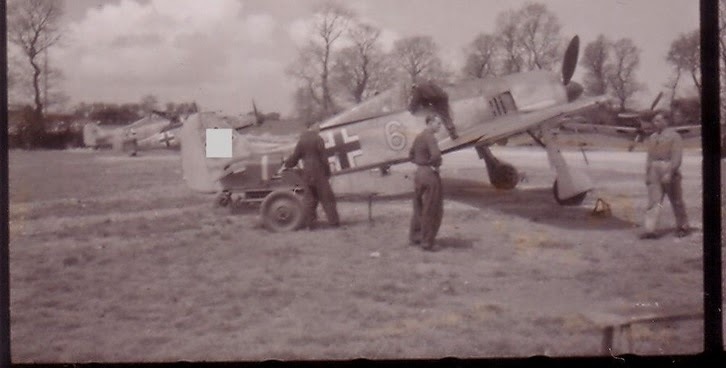 The first three images below show a Fw 190 A-2/3 'gelbe 2'. My first thought was that this could be "Sepp" Wurmheller's although I have to thank George Morrison for a more positive identification - too few Abschussbalken. This 'yellow 2' was most probably the regular machine assigned to Ofw. Karl Nowak and shows some ten rudder victory markings. His Warte would add just two more - his 11th and 12th returned on 3 June 1942- before he was shot down and killed by Spitfires over the Channel on 10 June 1942. The stylised eagle's head design was of course a feature of 9./ JG 2 machines. 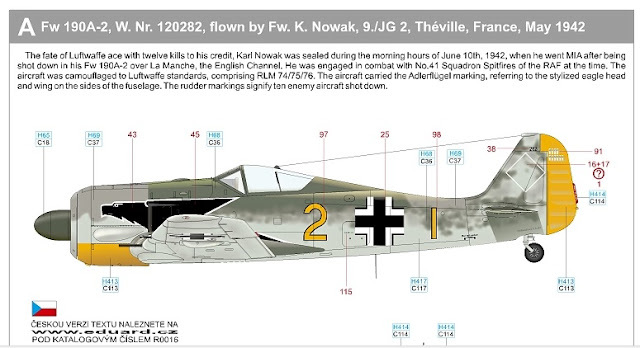 Wurmheller flew with 5./JG 53, then the Stab JG 2 (still using 109 Fs), then 1./JG 2. 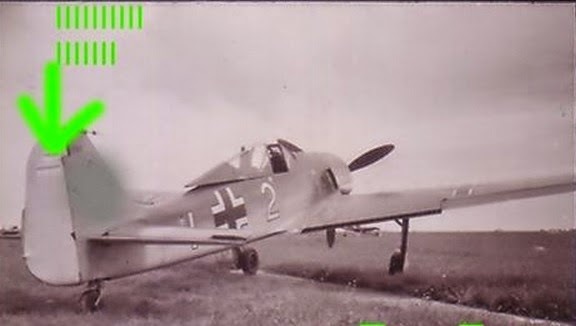 He flew several "weisse 3" before choosing "gelbe 2" in 9./JG 2. Above; possibly a scene from Beaumont-le-Roger where the Friedrichs of 1./ JG 2 operated alongside the Geschwaderstab. 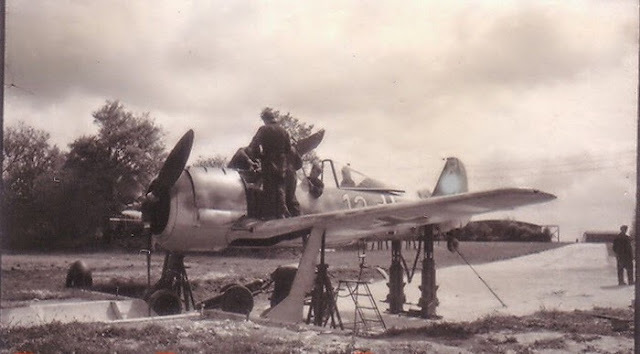 Below; Fw 190 A-2 "white 11' of 7./ JG 2 (WNr. 105) features the Staffel Zylinderhut emblem on the nose (a thumb pressing down on the British top hat) rather than the III. Gruppe cockerel's head. 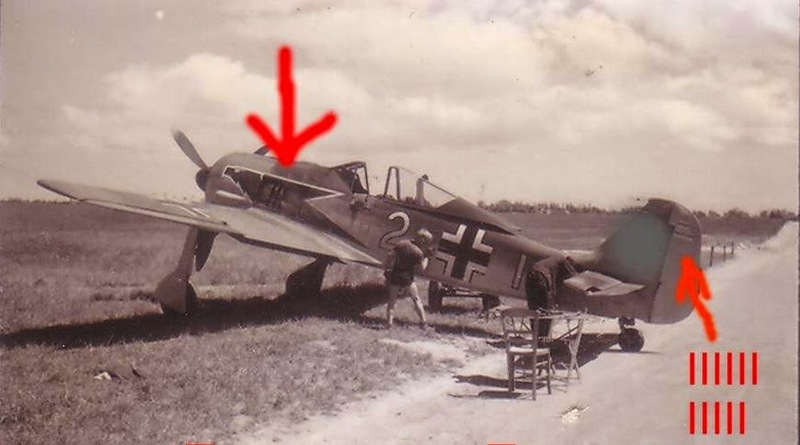 After only a few hours flight time the exhaust has already stained the lower forward fuselage and this area of the airframe would soon be over-painted with the usual black trapezoidal eagle wing or Adlerflügel shape outlined with a white border. Probably assigned to Ofw. 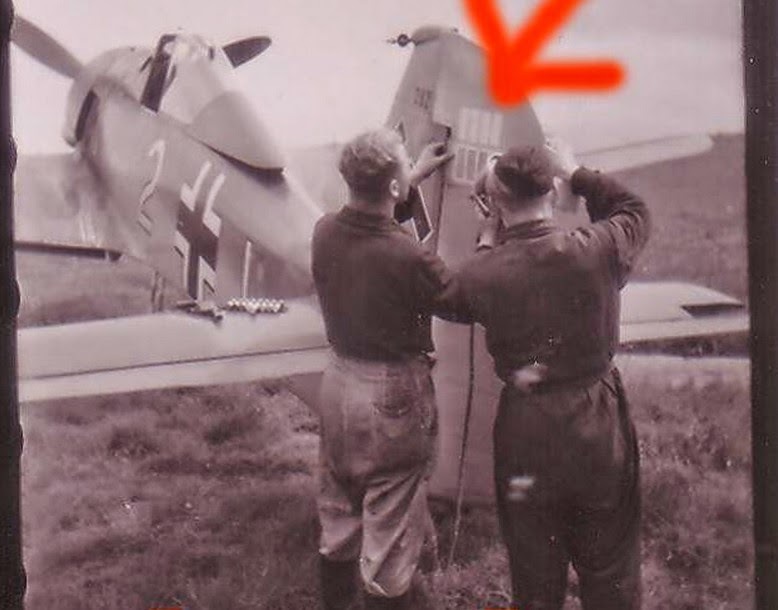 Alfred Knies, the preferred wingman of Stk. Egon Mayer. (cf. Mombeek "Dans le ciel de France " - Vol 3.) 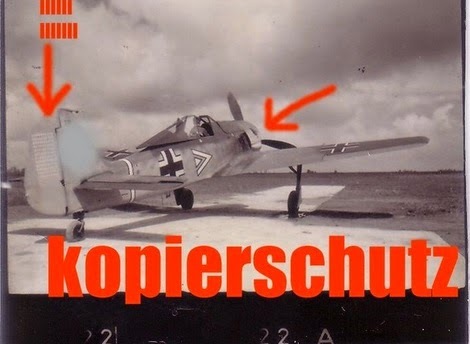 Knies claimed a Spitfire shot down on 6 June 1942.